It’s the oldest indoor ice arena in North America, populated each and every day by passionate hockey people. Now, the Calumet Colosseum can get some well-deserved TLC. 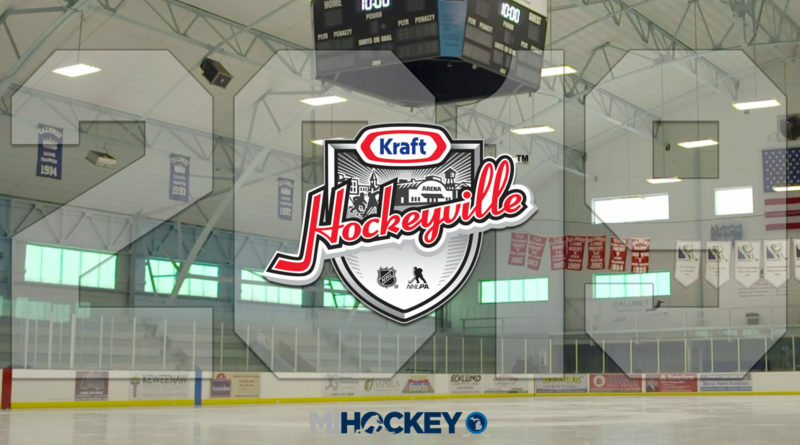 Calumet has been named Hockeyville USA. It was announced today that the home of the Copper Kings has won the 2019 edition of the annual contest, bringing the title of Kraft Hockeyville USA back to Michigan for the second time. The Calumet Colosseum will receive $150,000 in rink upgrades and $10,000 worth of new hockey equipment from the NHLPA’s Goals and Dreams fund. They will also have the opportunity to host a NHL preseason game. Calumet joins Marquette as two Upper Peninsula cities winning the contest run by Kraft, the NHL and the NHLPA. The winner was announced during the second intermission of today’s NHL on NBC broadcast; the other three cities in contention were Cadillac, Mich., Eagle River, Wisc., and Sartell, Minn.
Eagle River Sports Arena in Wisconsin finished as the runner-up, earning the second-place prize of $30,000. ‘The Wex’ in Cadillac and the Bernicks Pepsi Arena in Minnesota will both receive $10,000. There has yet to be an announcement of when the preseason game will be, or who will be playing in it. In 2016, when Marquette’s Lakeview Arena was the Hockeyville champion, the Buffalo Sabres and the Carolina Hurricanes came to town.